Divers say they have found the wreck of a vessel which may have been sent to relieve Bonnie Prince Charlie after his 1746 defeat at the battle of Culloden. The team says artefacts recovered from the ship, found off the Anglesey coast, suggest it may have been bringing supplies from the King of France. 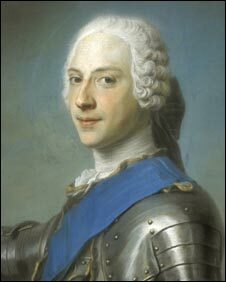 The Prince - Charles Edward Stuart - was at the time in hiding after the failure of the Jacobite Rebellion. Divers will fully excavate the wreck to determine its historical significance. Over the centuries, hundreds of ships have been wrecked off the rugged north Wales coast. But divers who explored this 18th century vessel found items including a rare ring seal of Mary Queen of Scots.